The University of Minnesota Medical Center – Fairview Health Services, Minneapolis, recently became the first U.S. health care facility to install the Symbia Intevo xSPECT system from Siemens Healthcare. The first-ever xSPECT system, the Symbia Intevo fully integrates single-photon emission computed tomography (SPECT) and CT during image reconstruction, combining SPECT’s high sensitivity with the high specificity of CT and completely integrating data from the two modalities to generate high resolution and, for the first time, quantitative images. 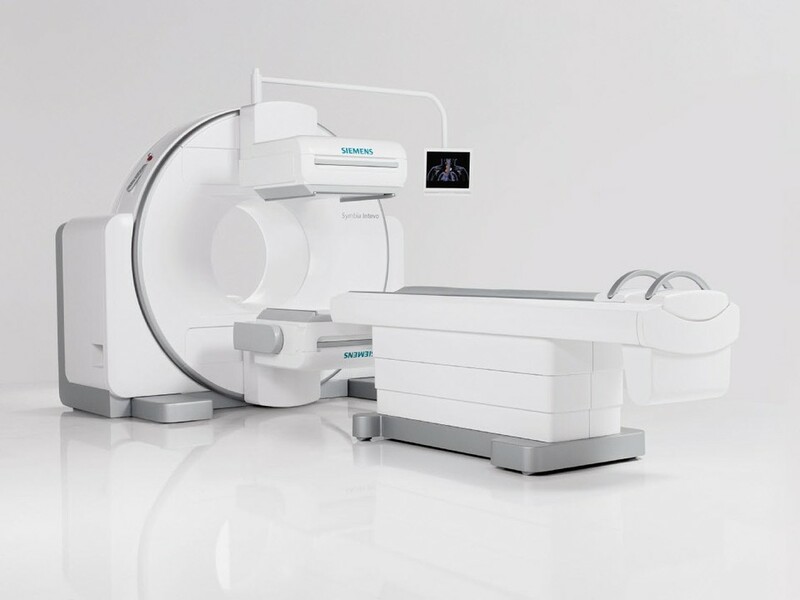 xSPECT Quant delivers precise alignment of SPECT and CT, providing physicians with essential volumetric information from the CT scan. This information enables accurate and consistent quantitative assessment – a numerical indication of a tumor’s level of metabolic activity. Accurate quantitative assessment enables the physician to assess whether a patient’s course of treatment has regressed, stabilized, or grown.